Dr. Laure Lauriston is an OB/GYN and the principal physician for Mesdames in Yonkers, New York. As a board certified obstetrician and gynecologist she offers a full menu of services including contraception, prenatal care, circumcision, fibroid treatment, and any concerns regarding a woman’s reproductive health. Dr. Lauriston completed her undergraduate education at the University of Miami, whestaffre she majored in Biology and minored in Psychology. She then went on to attend Columbia University’s post baccalaureate program before earning her medical degree at the Ross University School of Medicine. Dr. Lauriston completed her surgical training at Brooklyn Hospital. 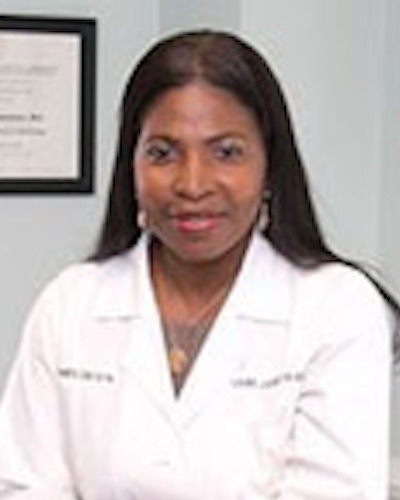 She also trained as an anesthesiologist at SUNY Downstate in Brooklyn, and as an obstetrician and gynecologist at Lincoln Medical and Mental Center in the Bronx. Dr. Lauriston has been associated with St. John’s Riverside Hospital since 2007. Dr. Lauriston’s patients see her as a compassionate and supportive physician who truly cares about their health and wellness. Call Mesdames anytime or simply schedule your appointment online to see Dr. Lauriston. For your convenience, we offer a variety of payment methods, including cash, checks, and most major credit cards and debit cards. Our office can assist you in arranging a low interest payment plan. All office visits are payable at the time of service. Please contact our office should you have any financial questions or concerns.